While husband was throwing dirt into the excavated holes that were dug for the water leak repair, I started removing a wall at the front where my retail shop will be. My daughter helped for a couple of hours by removing some drywall screws, I did the rest of the dismantling of the wall myself. 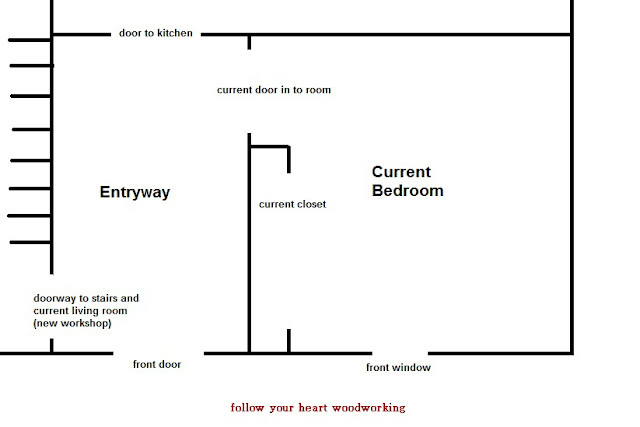 I am making the current bedroom and entryway in to one large room, which I hope to use in the future for sales. 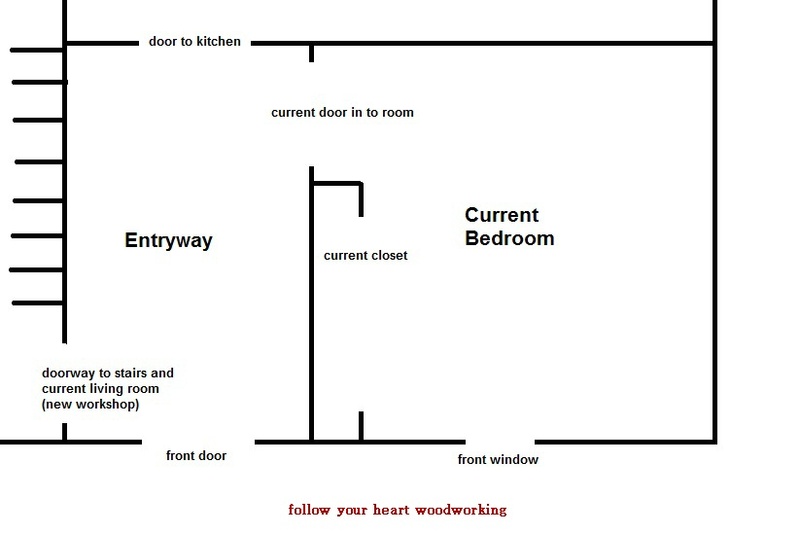 I need to remove the closet area and the door into the bedroom. When I take apart a wall made of drywall, I do not just smash it all apart. That might be quicker, but it’s very messy and harder to clean up and remove the debris. We take the drywall pieces to a transfer station in the bed of our pickup truck, so it’s easier to take larger pieces and not just piles of dust! Once I locate the end of a board I then find the screws and scrape the heads visible with a sharp tool. Once the studs are found, you know the screws are spaced along the studs. With an electric drill I remove as many screws as possible and cut the panels with a box cutter knife into sections. I took a couple photos to show how I do it. 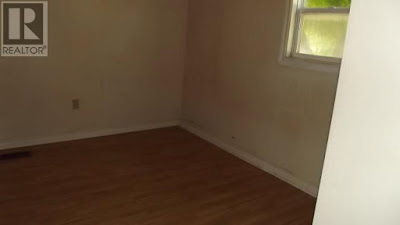 You can see the front door, to the left, just past the closet studs. The two windows in the background will be in the workshop area. I will need to make some type of a door or wall between this new larger room and the workshop to keep sounds and dust out of the retail area. Tomorrow the backhoe man is returning to fill in the rest of the excavated holes. We will need to get the area levelled out and gravel put in. We do have a driveway that goes on each side of the house and around the back. This will help with future customers to get in and out of the property. Looks like fun – NOT! Much better way to remove all that board. I'll have to remember this tip if/when I decide to widen the opening into my dining room. It may take more time but that is a great way to avoid so much mess and dust. Your workshop/retail space is coming along. Hoping I can visit sometime. You mean you just don't kick a hole in the drywall like they do on hgtv? hahahah Your way sounds so much better. ohhh, I turn green every time I read about your new place. If I had a mr or partner to help, I might go for it. You're so lucky to have help from the hubs and daughter!!! Looking good! Too bad the previous owner was such a good drywaller. Another way to find the screws, at least once you have found one in the stud, is to run a box cutter blade down the stud from that screw. You can feel as the tip goes across the screws as you go down. I have never in my life seen such a clean demo Julie – that's amazing ! I'm too impatient – I'm like Hurry Up – Just smash it to pieces LMHO !!! Previous Previous post: Sealing up the Foundation – Hopefully!